Hello, lovely friends! I’ve now been working at my full-time internship for two weeks, but I wanted to share this reflection and lookbook video from my first week of work. The corporate-office-world is all new to me and I’m building up my professional work wardrobe. I’ll let ya watch the video see all five of my first week’s worth of ‘young professional’ outfits. And thank you for such a kind reaction to this video already! Let me know if you’d like to see more lookbooks 🙂 I’ve got many more weeks of work ahead so I’d love to share more of my professional outfits. My mom has helped start my work wardrobe so much and as you can see in the video, Loft is my fave so far. 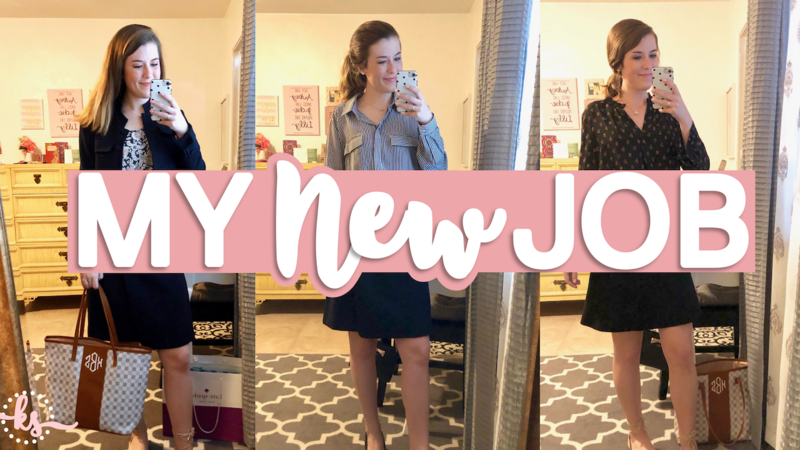 I’ve been slowly buying work clothes over time (and mostly shopping sales) so I can’t link all the exact pieces, but I’ll include some of my current favorite work wear items below (links are affiliate at no extra cost to you, see disclaimer). Thanks for reading & for following along. I hope you’re having a lovely day!